Outsourcing Baseball Development: Anthony Alcade’s "Buscón"! And the possibilities for small film producers are exciting! The jury of the Short Films Competition, comprised of experienced film professionals from the Dominican Republic and abroad, has chosen the winners of the II Short Films Competition of the Dominican Republic Global Film Festival. Out of the eleven finalists, the jury has awarded three short films for 1st, 2nd and 3rd place. 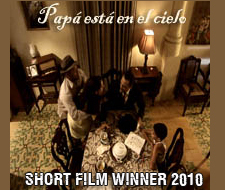 “Mi papa esta en el cielo” (My Dad is in Heaven) by director Francisco Rodríguez, whose 6-minute short film won First Prize in this year’s 2nd annual Short Film Competition. Rodríguez’s film, as were all the shorts, was seen various times as an opener to other feature and documentaries showing at this year’s 4th edition of the Dominican Republic Global Film Festival (DRGFF). As first place winner, Francisco Rodríguez will receive a video camera, a scholarship to study film in Los Angeles, California and the opportunity to make a short film there under the auspices of the Dominican film production company, Panamericana. “Mi papa esta en el cielo” is about Manolo, who is opposed to the Trujillo regime and therefore forced into hiding during the dictatorship. His wife and son are left behind to face the authorities on their own; they are constantly having to deny they know where Manolo is hiding. 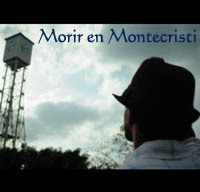 Second place winner of this year’s competition is “Morir en Montecristo” (To Die in Montecristo) by director Frank López. Lopez’s nearly 8-minute film tells the story of Fernando who writes a letter to Manuel in which he reveals his recent experiences and feelings. As second place winner, Frank Lopez, will receive an iMac. 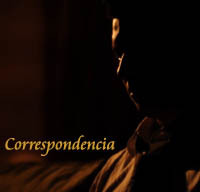 And the third place prize goes to director Franmiris Gomez Lombert for “Correspondencia” (Correspondence) which is a film about Simon who, addicted to his job, comes home one day to find a letter that will change his life and habits forever. In addition to these valuable prizes, all eleven finalists in the Short Films Competition had the opportunity to have their films screened at this year’s Dominican Republic Global Film Festival (DRGFF) as openers at every screening around the country. The films had a great deal of coverage and were well received. Don’t forget that next year, the contest will continue. This year there were fifty entries that were eventually narrowed down to eleven finalists. So, keep your eyes on the DRGFF website and stay informed on how and when to apply. 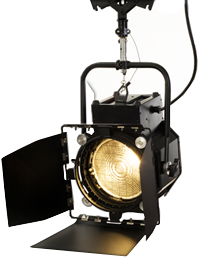 Films can be a maximum of 15 minutes long, including credits; they are black and white or in color; in Spanish or with Spanish subtitles. The established genre categories include: fiction, animation, documentary and fantasy. Film entries must be made by Dominicans. The objective of the DRGFF’s Short Film Competition is to promote the short film industry in the Dominican Republic; provide incentives for the creation and development of local productions and stimulate and enrich the local film culture while offering Dominican professionals the opportunity to form working relations and networks with the national and international film community.